Eyebrows are by far one of my favourite parts of a make up routine, It's amazing how much they can change how your face looks! I'm a bit obsessed with my brows I never used to be but recently I rarely leave the house without adding a bit of powder to them, I just feel more confident with the way they look after! The HD Brows Palette is raved about in the blogosphere so I was so excited to try it out for myself! I have the palette in the shade 'Foxy' for light to medium hair, but there is also Bombshell for fair hair and Vamp for darker hair. I think the Foxy Palette is a great palette and one that would suit everyone, I have quite fair skin but darker eyebrows and the colour match is just spot on! There's four shades included in the palette all four of which are matte and can be used for eyebrows or as an eyeshadow. 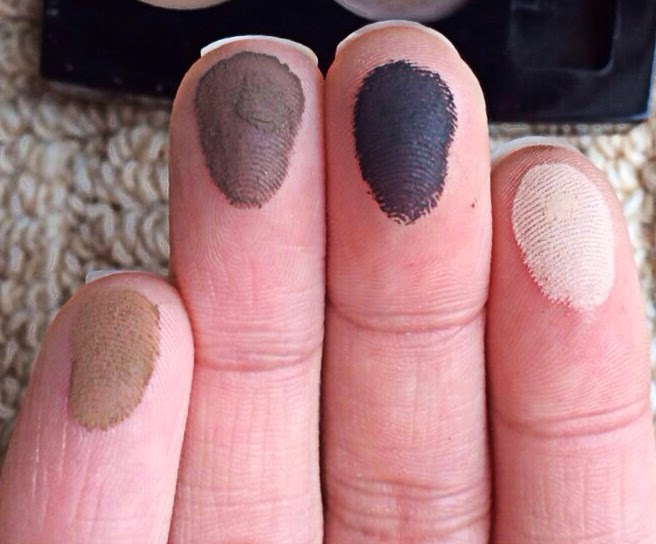 There's a pale ivory/cream shade, a black, a warm toned brown and an ash toned brown. The shade I've been using on my brows is the warm brown (Bottom right in the palette) as I find this looks more natural and compliments my skin tone well. All the powders are really pigmented which Is why I like this palette so much! And I'm really impressed with the quality. To do my brows I only need the smallest amount of product, it comes with a brush which is really good but sometimes I prefer to use my own. Have you ever tried the HD brow palette? Do you like using a powder on your brows? Ive never tried this brand before heard so much about it but never actually used anything from them looks great though! This is the only product I have tried but I really like it! Thank you :) It is such a good brow kit, I love the way it makes them look!